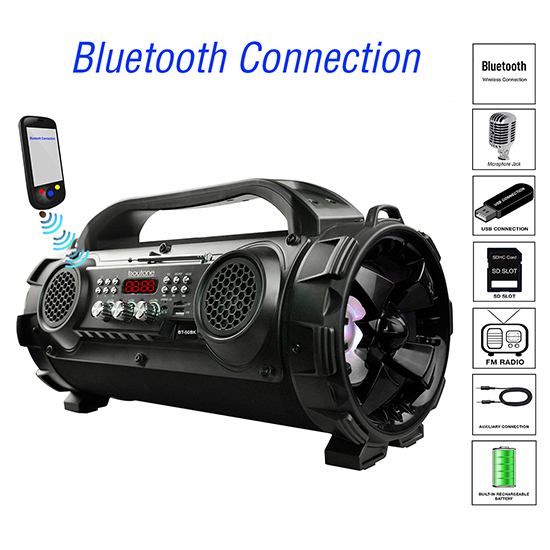 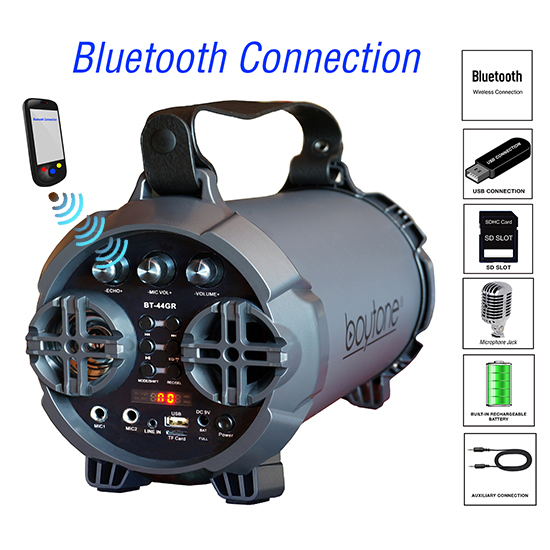 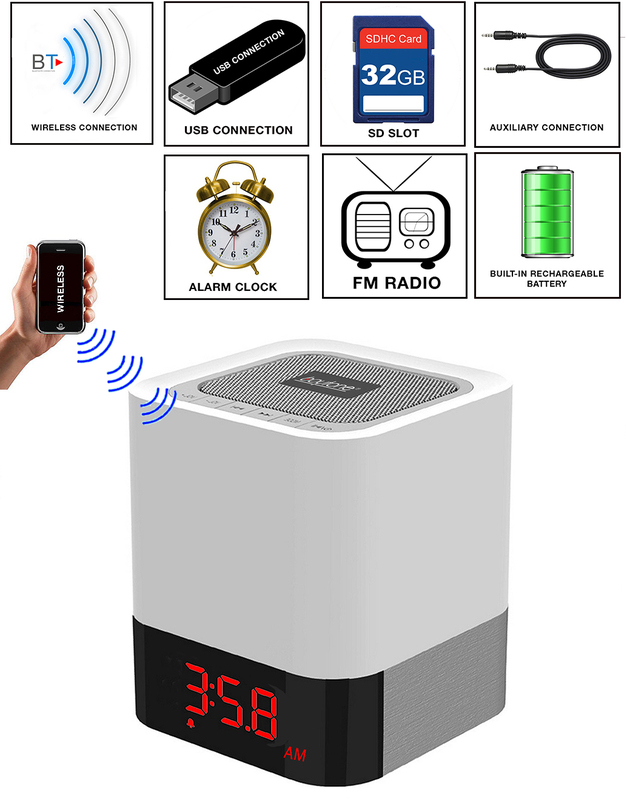 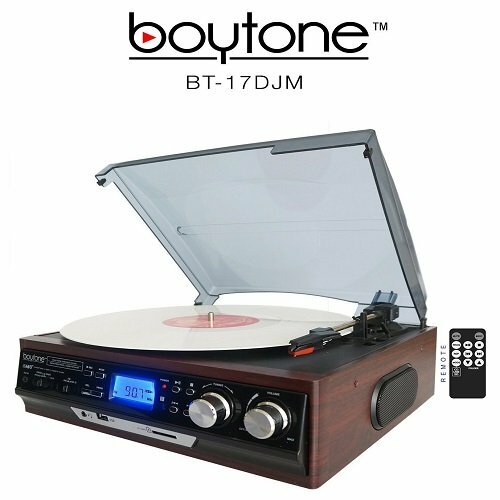 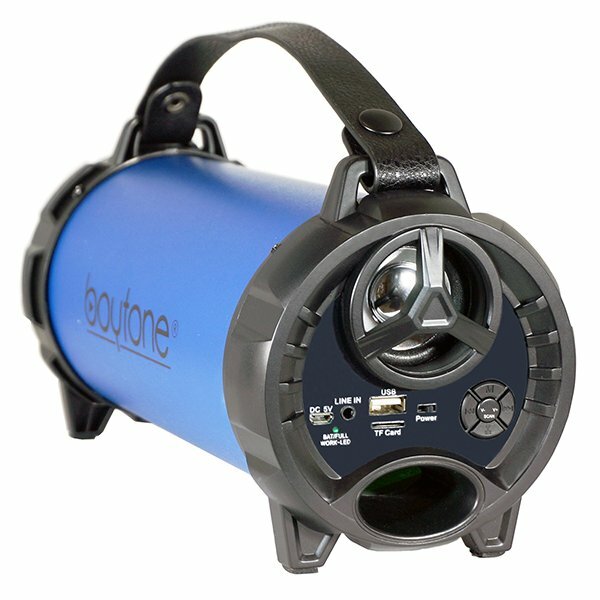 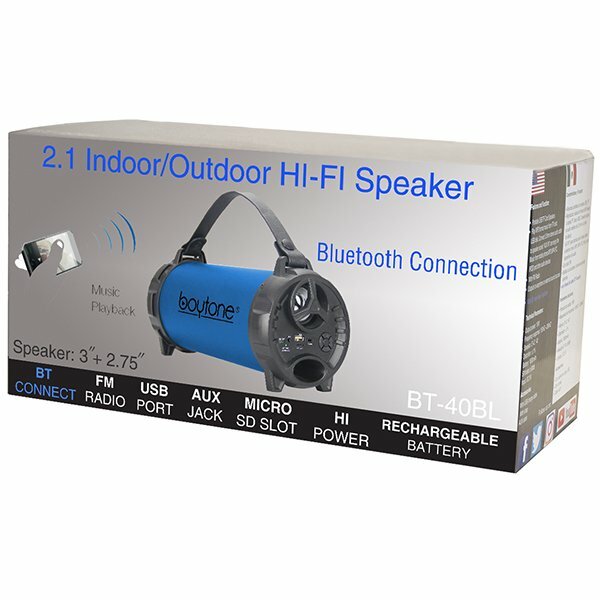 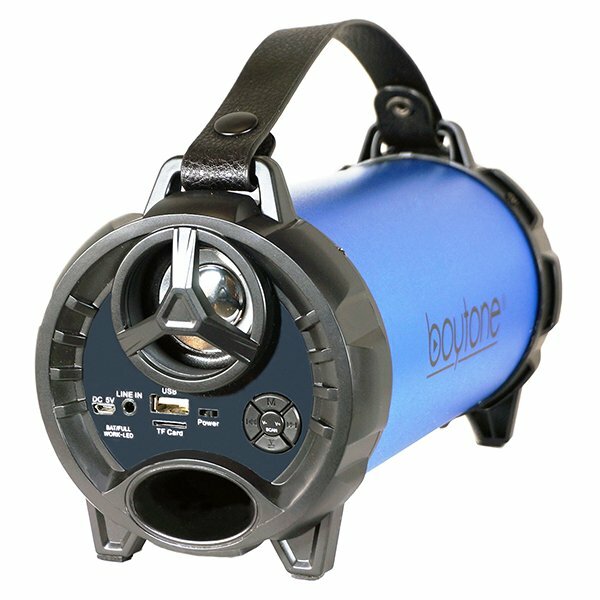 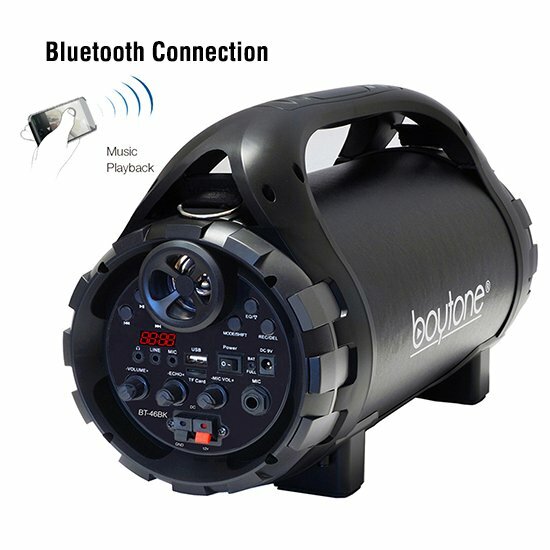 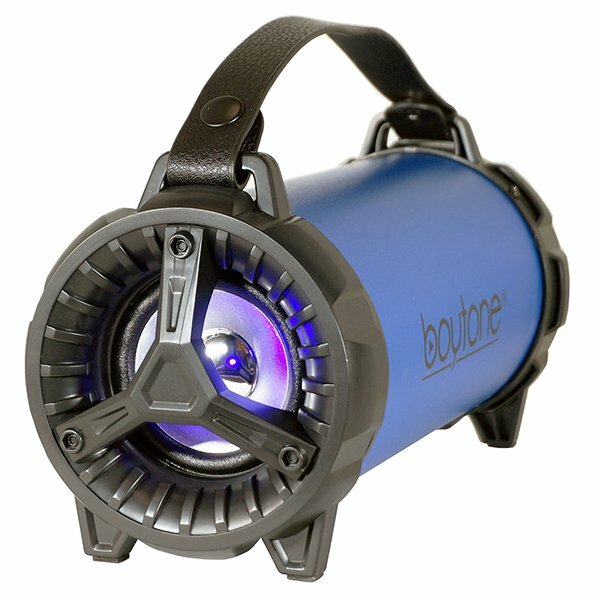 The Boytone BT-40BL is the perfect Portable Bluetooth Boombox Speaker. 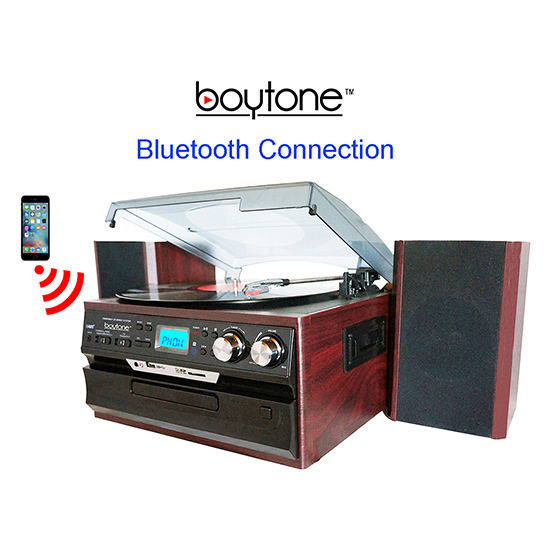 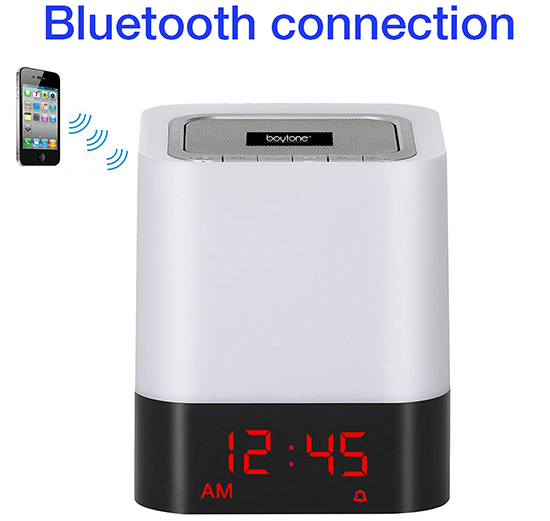 It can steam your music wirelessly through Bluetooth technology. 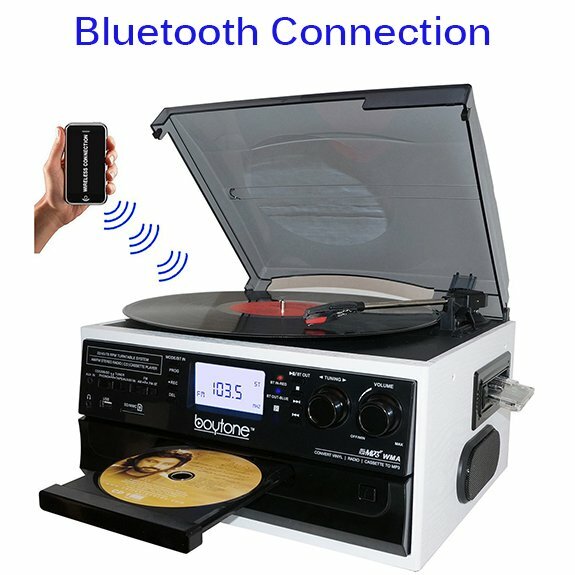 This way you can listen to anything music you prefer. 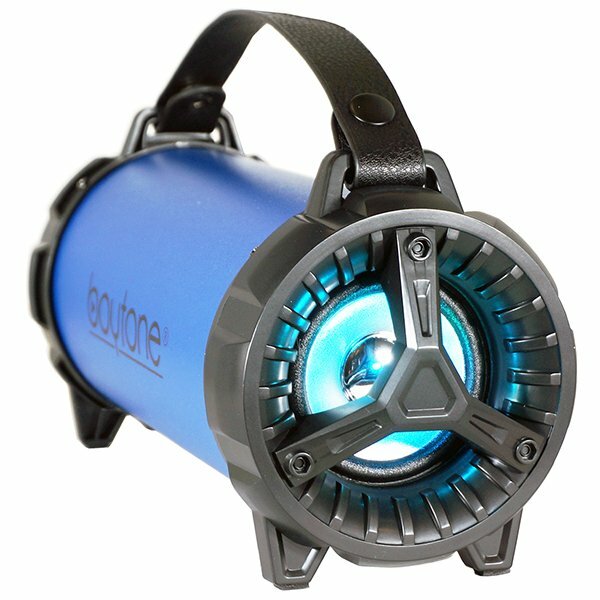 Comes with a convenient carrying handle that makes it easy to grab and take anywhere.